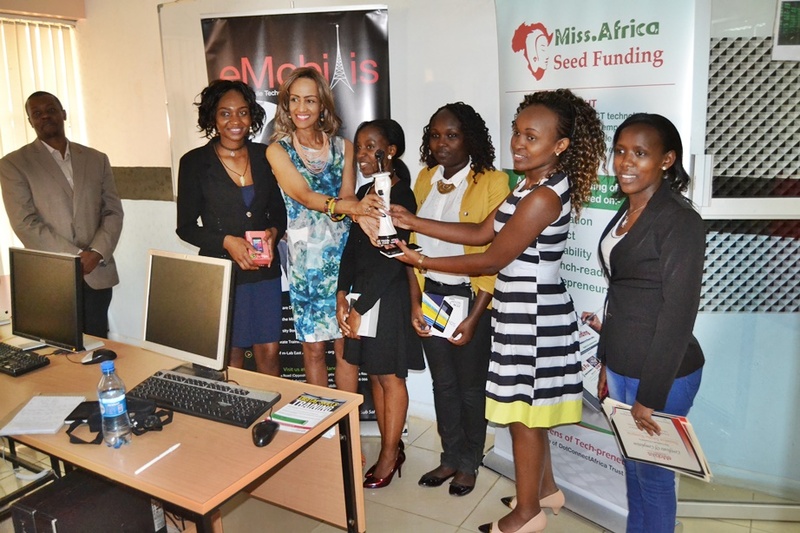 eMobilis was selected DCA Trust’s partner to deliver relevant, 21st century software development skills for bright young women in Kenya having emerged as the grand prize winner of the inaugural Five Thousand US Dollars (5,000 USD) Miss.Africa Pan-African seed fund. Speaking at the App presentation and award giving ceremony event, Ms. Bekele was invited to give the Awards. Bekele congratulated the women who had completed the training and encouraged them to polish their apps. The students presented prototype mobile apps ranging from safety and crime prevention, health, education, fashion and child safety. The top 3 app developers also received mobile devices as prizes.